"Lili, an apprentice of the Lady of the Lake, is the childhood friend of Percy, the boy who will become one of Arthur's greatest knights. But as they grow older, Lili begins to see their differences. She has otherworldly magic while he has the magic that lives within the Human Heart. Lili dreams of knowing human love while Percy dreams of finding the Holy Grail. Neither can succeed without the other." "Anne Eliot Crompton grew up in the 1940s, a time when women's roles in myth were less acknowledged than today. Part of her life's work has been to shine light on women's immense contribution to the human story. She lives in Vermont." My roommate in college was big into SCA (Society for Creative Anachronism). She was actually the president of the club, and we used to go to renaissance-type fairs together. We still go once a year to King Richard's Faire here in Massachusetts, so reading an Arthurian fantasy novel is my idea of a great read. I enjoyed this book so much, I'm tempted to buy Anne's two other Arthurian books. Aside from loving Arthurian legend, I also love any books about magic. Of course Arthurian legend is steeped in magic (a la Merlin), so this book's plot intrigued me in that way as well. Basically, I was hooked in from the first word and read the book in less than two days... I'm even tempted to read it again! The plot was steeped in believable fantasy and was a very easy read. This book is perfect for high school aged girls and up. Overall: We give Percival’s Angel a 10/10! 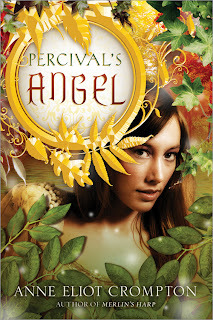 One very lucky reader will win a copy of Percival’s Angel! 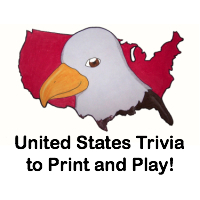 Comment here and tell me about your favorite time period to read about. This giveaway will close on May 3, 2011 at midnight. We received a copy of "Percival’s Angel" free of charge for the sole purpose of this review; no other compensation was received. All opinions expressed are my own. I love to read about the pre-revolutionary period! I like reading about the early 1900's. love reading about medieval tales! My favorite time period to read about it the victorian era - I also love the architecture of that era. Voted on Top Baby Blogs today.